As demand for complete streets outpaces funding and political will from city agencies, residents are taking street design into their own hands. The relatively young Colfax Mayfair Business Improvement District is Denver’s latest example. Colfax Avenue has long functioned primarily as a thoroughfare for motorists, to the detriment of business owners and people walking and biking. Basic infrastructure like crosswalks are conspicuously missing, causing injuries and death, and splitting neighborhoods in two. 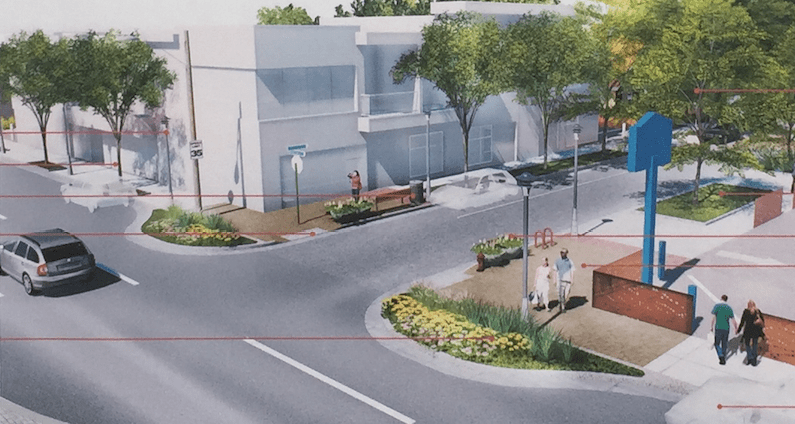 The Mayfair BID recently hired an urban design firm to survey residents and re-envision the one-mile stretch on East Colfax Avenue from Eudora Street to Locust Street. The goal is to lay the groundwork for risk-averse departments like Public Works, Community Planning and Development, and the Colorado Department of Transportation (Colfax is technically a state highway). 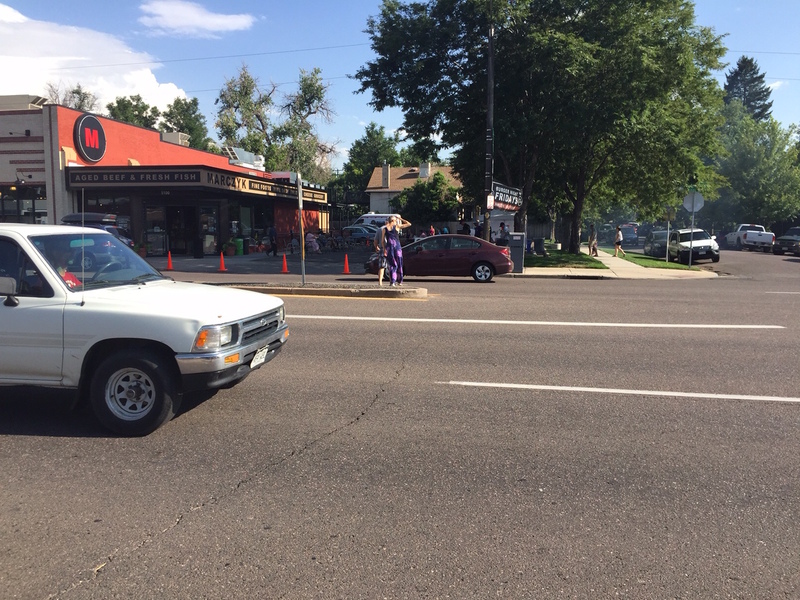 According to police statistics, 33 pedestrians have been hit by cars along Colfax Avenue in the last year. In a survey of 550 people for the Mayfair BID’s project, the top two safety concerns were crossing the street and drivers not yielding to pedestrians, which accounted for more than half of the responses. Walking half a mile to get to a grocery store 50 feet away goes against human nature — and basic urban design principles. Inevitably people cross the hectic street and get caught in the middle, sometimes with a thin median, but often in the “suicide lane,” a center turning lane for drivers. 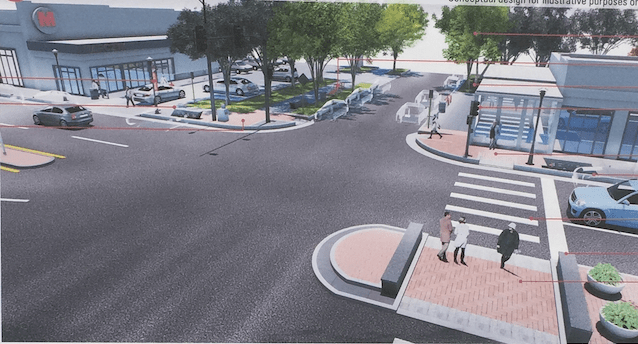 The final outcome will depend on neighbors, the BID’s modest budget, and whether city agencies will prioritize the project, according to Jaime Fogle, an associate with Design Workshop, the firm hired by the BID.